We never intended to visit Hong Kong on our travels. What we’d seen on television and in photos gave us the impression that it was just another congested Asian city with flashing neon lights, some British culture and organisation, yet sensory overload all the same. Its strange how we are so swiftly conquered by stereotypes when we’re lacking in information. When we realised we could halve the cost of our flights to North America by passing through Hong Kong though, we decided to give the city the chance to surprise us – and oh how it did exactly that! Here is a list of things that completely surprised us about Hong Kong and how they showed us we still have a lot to learn about the world we live in. When we arrived in the country (Hong Kong left the British Commonwealth in 1997 and is now independent of both England and China) we were surprised at how developed it was compared to neighbouring countries. Alex kept mentioning that “Hong Kong looks exactly like Rio de Janeiro would if there were no corruption, litter, traffic jams or crime in Brazil. And indeed, the high rise city squashed between steep, vegetation-rich mountains and a tropical blue ocean is Rio’s doppledanger. Thats where the similarities end however. When you look closer the city seems a lot more like Singapore – brand new buses and a massive metro system work so effectively and at such a low cost to passengers that Hong Kong’s streets are actually quiet! Not only are they quiet but they are clean and always sided by impeccable footpaths reserved for pedestrians (not for scooter parking like the rest of South East Asia). For the three days we were in the city, we always felt safe, never struggled to find what we were looking for and were impressed by the infrastructure and countless public ammenities we’re used to seeing in places like Sydney, Geneva or Vancouver. We never expected to find beautiful, pristine beaches and verdant, jungle clad hills so close to such a populated Asian city – but when we arrived in Hong Kong and took the bus from the airport to the city centre we were impressed over and over again by the natural beauty we saw. 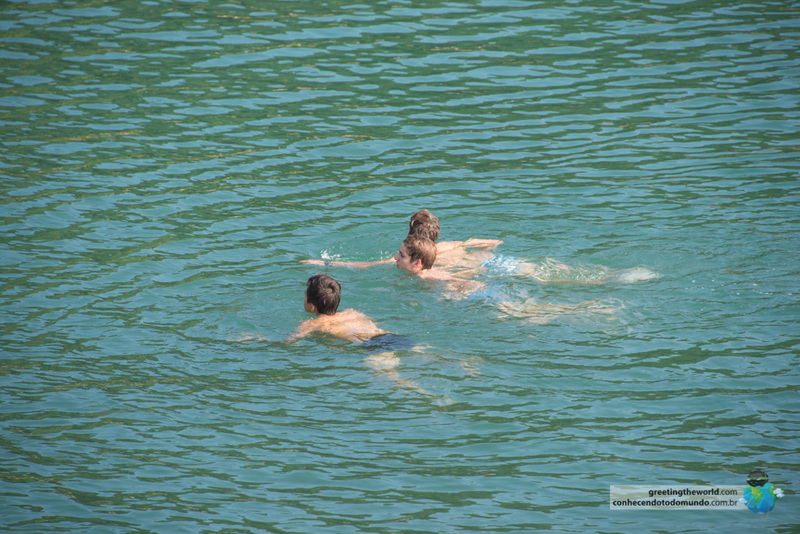 During our three day stay we took another bus to Stanley Beach, one of many suburban areas 30 minutes from the city centre that are surrounded by nature on all sides. 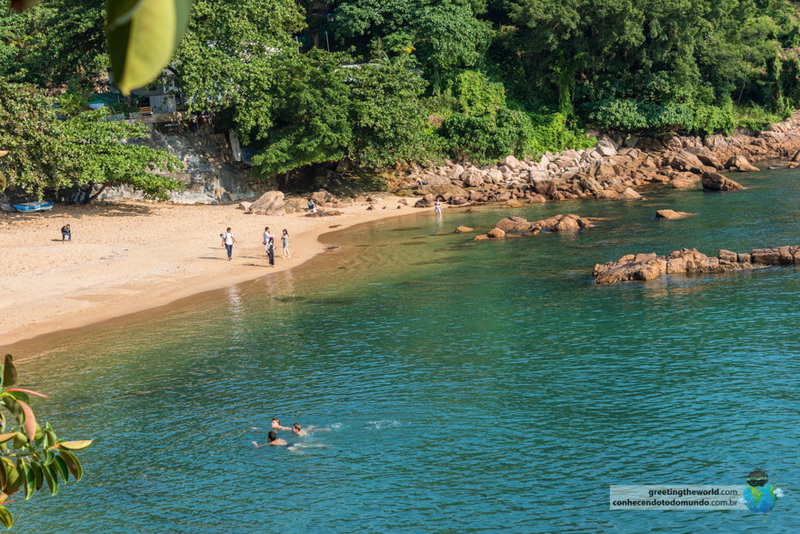 The buildings in these areas are less dominant than closer to the city and its difficult not to appreciate the sparkling turquoise waters and lush trees casting welcome shade over the paved promenades and beach front cafes at Stanley. We also heard that Hong Kong has many amazing trekking and mountain bike trails that criss-cross the hilly jungle and rocky outcrops of the small country. 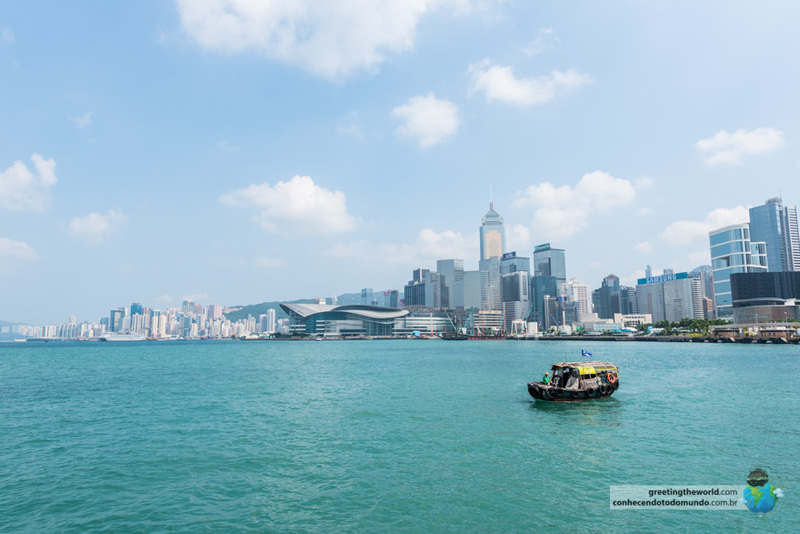 Hong Kong is one of Asia’s biggest economic centres, and therefore – predictably – the city centre is bustling with preoccupied businessmen and commerce during the day. At night, however, we were surprised to see the city centre slowly transform in front of our eyes into an eclectic mix of East meets West street bars, restaurants and entertainment. The vibe also changes as people slow down, smile more and make the most of the remainder of their day to socialise. Some streets entirely close as the bitumen is taken over by restaurant seating and street entertainment. Although Hong Kong is a city where space is at a premium and most areas are reserved for commercial and business means, the little country knows how to include a human touch that keeps things down-to-earth and brings people together. The entire city is covered with countless parks, plazas, viewpoints and areas of leisure where locals and tourists alike can relax and enjoy a slower pace of life. In Hong Kong’s old town centre, Tsim Sha Tsui, there’s even a massive community pool and water park where entry is little more than US $3. 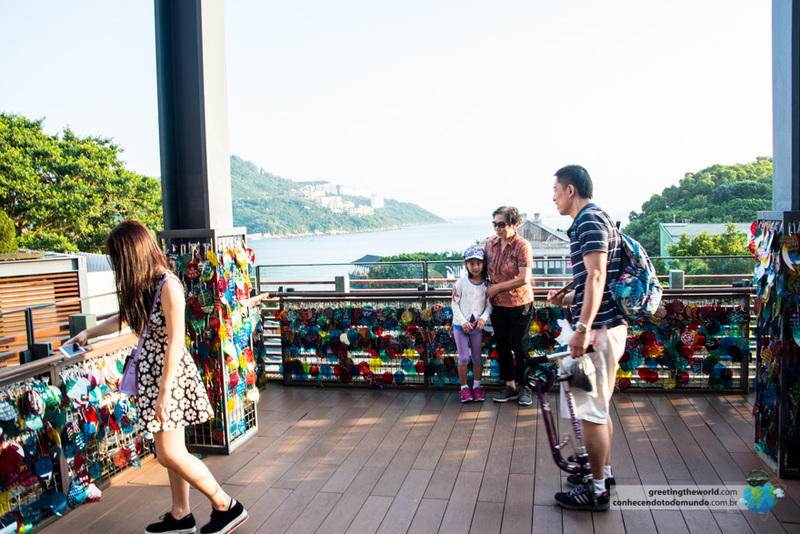 An entire balcony at Stanley Plaza, a shopping area on the beach in Stanley, is dedicated to sharing positive and loving messages from people all around the world. 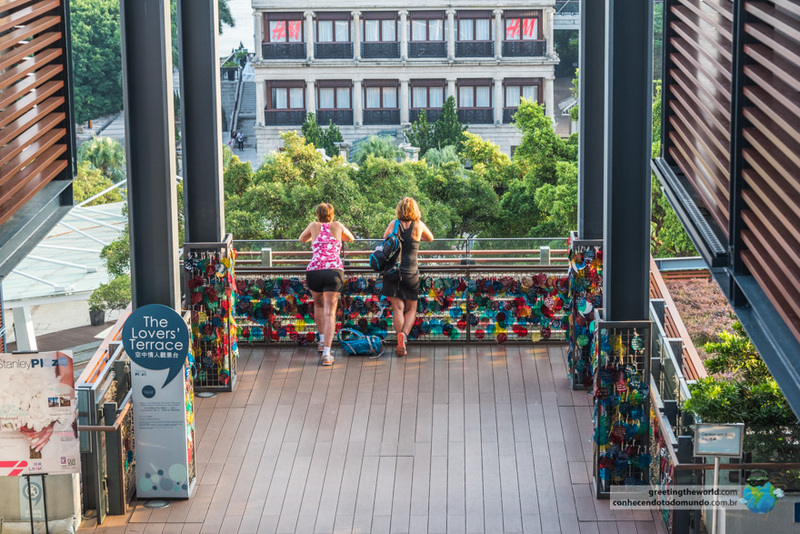 The idea was based on the love lock bridge in Paris, where instead of attaching engraved padlocks to the railings, anyone can write an inspirational message on a colourful plastic speech bubble and attach it to the railings. 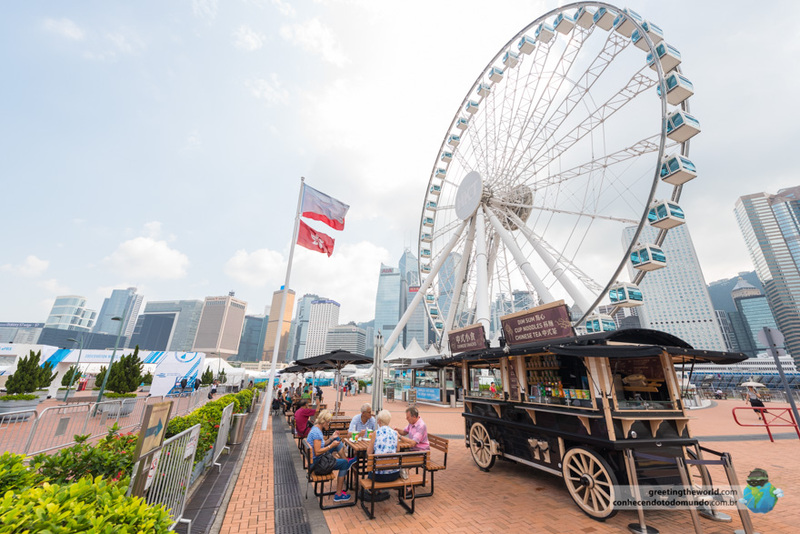 Hong Kong’s human touch can be found in every little corner of the city – from buses with luggage wracks to free entry at city-wide museums and exhibitions, open public spaces on every street to family run businesses right next to multi-national companies. Who doesn’t like a good Asian market to find traditional items, fresh produce, electronics and Chinese rip-offs at a bargain price? 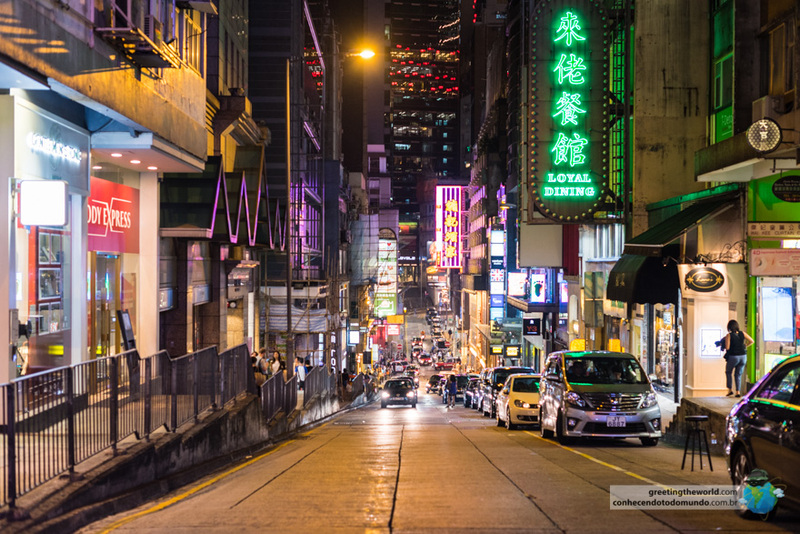 You’ll certainly find everything you can imagine among Hong Kong’s many night and street markets, however keep in mind the price won’t be as low as in other Asian countries. That being said, Hong Kong-ians still enjoy the age-old tradition of haggling and, if you’re determined enough, you’ll usually be able to bargain down the price by at least 40% of what the seller originally asked. 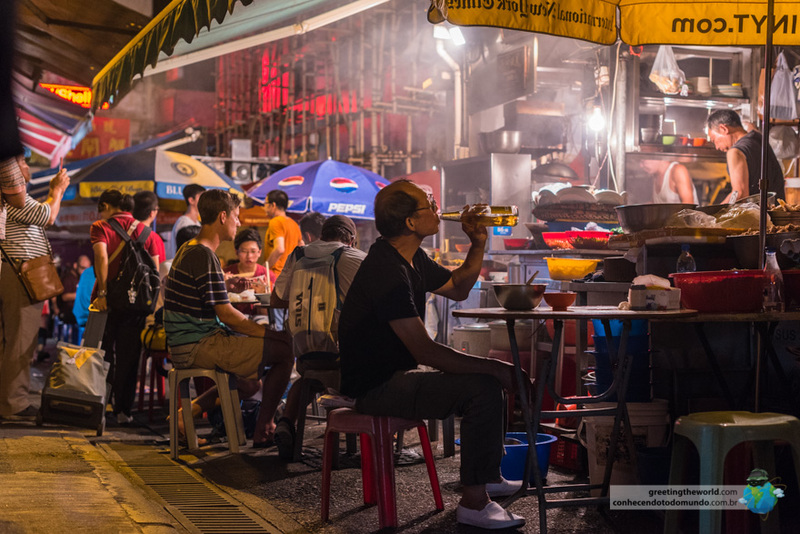 We enjoyed the colourful and brightly lit setting of the Temple Street Night Market to wander among the stalls, people watch and try some great street food, cooked fresh in front of your eyes. We always love buying fresh produce at road-side stalls and small markets, especially in Asia where you can find exotic tropical fruits you’ve never even heard of before. In Hong Kong you’ll find these in the most unlikely places – like the one above we came across in the middle of a train station. Hong Kong is also famous for its cheap electronics markets where you’ll find everything from drones to computer hardware, mobile phones to Segways – and you can rest easy knowing the majority won’t be counterfeit as they come straight across the Chinese boarder from fabricators of authentic brands. Although we didn’t go to one of these markets we did see people selling original iPhone 7s on the floors of metro stations, some for half the price of Apple stores. If you’re looking at buying electronics in Hong Kong, just be aware that there are some imitations out there. 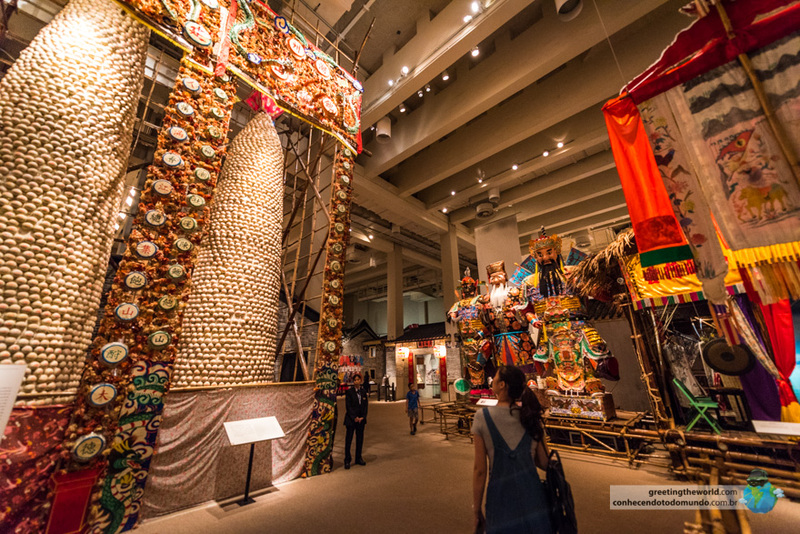 By no means are we experts when it comes to museums – nor are we very big fans of spending hours walking through exhibits or traditionally static museum displays. That being said, we decided to get out of the heat and spend our last afternoon in Hong Kong visiting it’s History Museum while we waited to head to the airport. 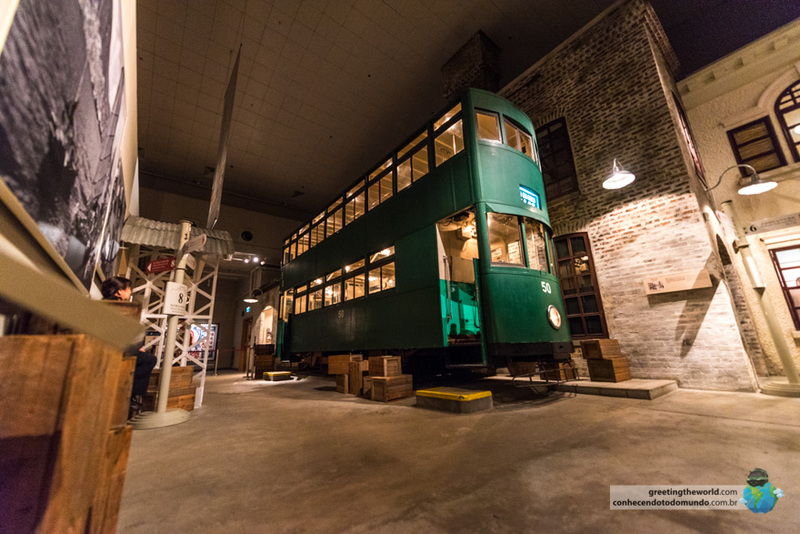 The museum is centrally located and offers free entry – thats two positive points right out. However, thats not why we loved the museum so much. We spent two hours of complete contentment as we explored the interactive, attention-grabbing and unique museum exhibits that just kept impressing us. If we didn’t have to leave in order to catch our flight we could certainly have stayed a lot longer! 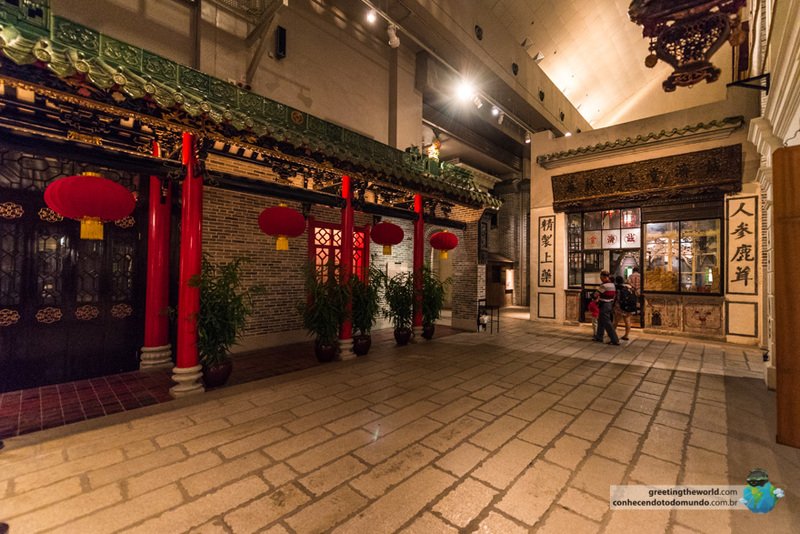 The museum starts off with a brilliant display of how Hong Kong was formed geologically, followed by super interesting, almost movie set-like exhibits that details the country’s interesting history from Chinese fishing village to Brittish opium-trade port, from the two-year Japanese occupancy during WWII to the now thriving independent and multi-cultural metropolis that is Hong Kong. Films screened in full size cinemas, holograms, life-size models and historical pieces are used interactively to illustrate the city-country’s incredibly history and culture. 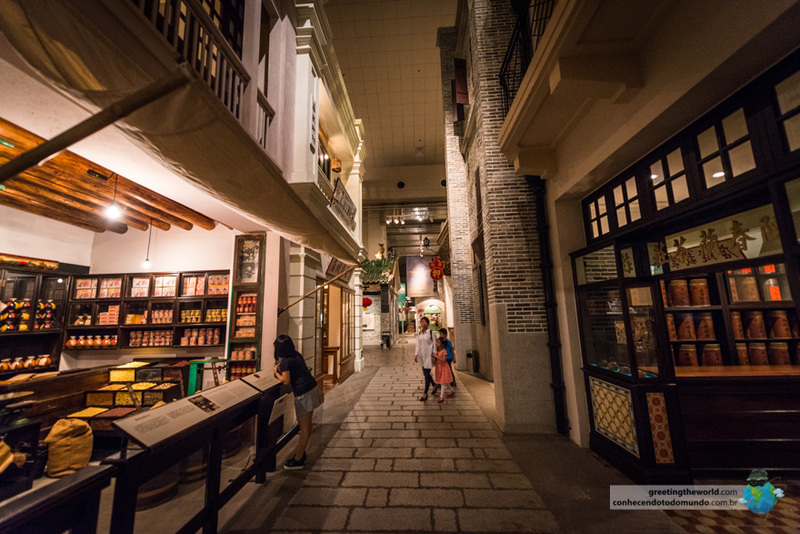 Yet our favourite moment was in one of the museum’s last exhibits, where we walked into a life-sized, authentic recreation of an entire Hong Kong street-scape from the 1800s. The 100m long street felt like a cross between a theme park, realistic movie set and like you’d actually stepped back in time. Not only is the street a perfect picture of mid 17th century British Hong Kong, but every single one of the shops are enterable with functioning and often original equipment, produce and furniture from the age. Super impressive! Hong Kong may not be somewhere you’d thought to go on holiday, however if you ever get the chance to visit the unique country we highly recommend you jump at it! Our only tip – make sure you book your accommodation in advance as rooms can get pricey and fill up fast!